IT’S TIME TO CHOOSE YOUR ADVENTURE! The Puzzle Parlour and Operation Laser Tag are live-action attractions that are unlike anything you have ever experienced before. This is undoubtedly one of the best things to do for kids in Branson. Come with your friends, family, colleagues or team to tackle the challenges together. 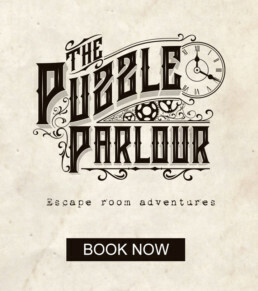 The Puzzle Parlour offers unique escape room adventures, where you’ll have a total of 60 minutes to unplug from the digital world, interact with your team of adventurers, and escape from your busy life. 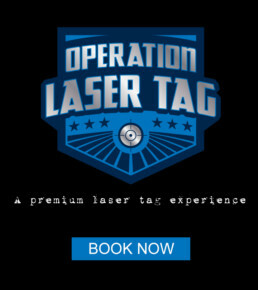 Operation Laser Tag is a military-themed indoor experience that brings you into the video game, tracking your stats all the time! The Puzzle Parlour and Operation Laser Tag attractions are the perfect way for you to interact with your group. Schedule a time for everyone to unplug and enjoy a live-action experience like none other, one that your group will be talking about long after your game is over! You’ve traveled the galaxy as Master Chief, delved deep into the dungeons below Waterdeep, captured the flag in Call of Duty, and mastered the settlements of Catan. But this time…it’s for real. It’s time to choose your next live adventure! There is no “I” in TEAM. Whether a corporate group, sports team, youth group or scouts, a Puzzle Parlour and Operation Laser Tag experience will require them to cooperate in order to be successful. Working together is the name of the game. Tired of revisiting the same places for every party? Want something that everyone can enjoy together? A Puzzle Parlour or Operation Laser Tag adventure will have you cheering your successes long after the adventure is over!